Despite its crucial role in early atypical cognitive and behavioral development, the brain has been largely absent from studies of early intervention. 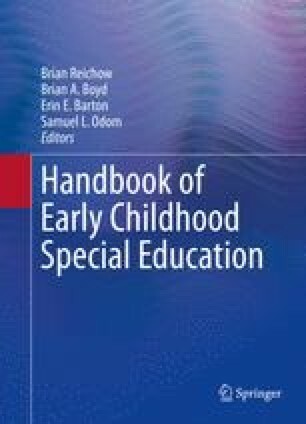 In this chapter, I will address issues related to the integration of neuroscience and education and provide an overview of noninvasive methods for measuring brain structure and function in young children. Throughout, specific challenges, implications, and new opportunities for early childhood special education will be addressed. This chapter was prepared with support from the National Institute of Mental Health under award number K01 MH101653. The content of this chapter is solely the responsibility of the author and does not necessarily reflect the official views of the National Institutes of Health.